Sweden is lighting the way to a cigarette-free world. The Swedish government has released data showing that the proportion of men aged between 30 and 44 smoking fell to just 5 per cent in 2016. Overall, just 8 per cent of Swedish men now smoke on a daily basis – itself a record-low percentage – compared with a European Union average of just over 25 per cent. The proportion of Swedish women who smoke also continues to fall, and is now 10 per cent. It is extremely unusual for men to be smoking less than women. In fact, Sweden is the only country where this happens. 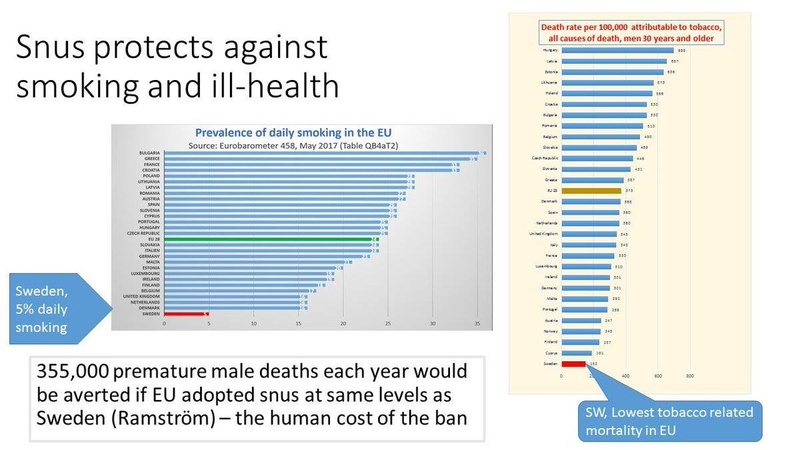 To understand why, you need to appreciate that Sweden’s exceptionally low smoking rate is due to the availability of snus, a smokeless tobacco product that is banned in the rest of the EU because the authorities in Brussels wrongly assumed that it caused mouth cancer in the early 1990s. Snus has been used in Scandinavia for 200 years but has traditionally been associated with men, hence the higher rate of smoking among women. It has not always been this way. In the 1970s, 40 per cent of Swedish men smoked, a typical figure for a Western society at the time. Also typical was the fact that Swedish women smoked less. Thereafter, smokers gradually switched to snus and Sweden’s smoking rate is now less than half the European average. 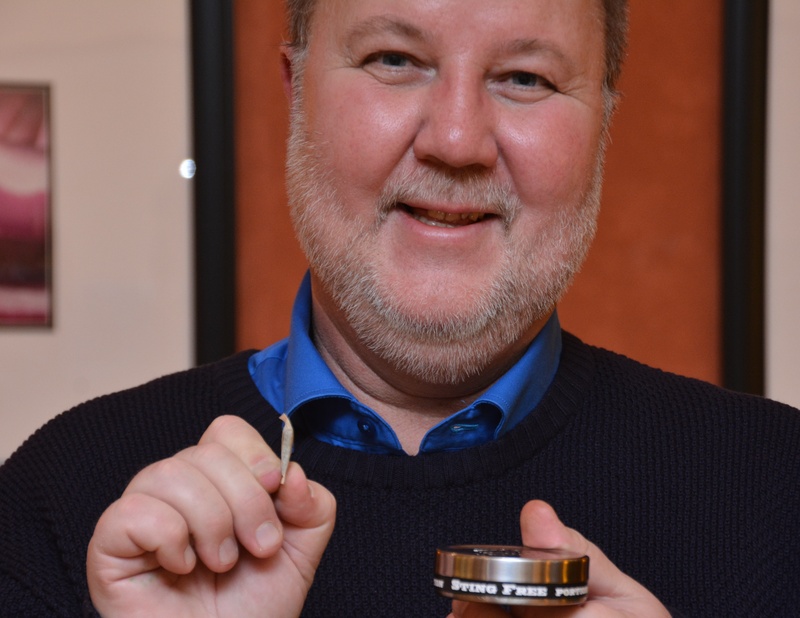 Unfortunately, by the time this quiet revolution was noticed by outside observers, such as Dr Brad Rodu in the USA, the EU had banned snus in every member state except Sweden, which had demanded an opt-out when it joined in 1995. In 2002, the Royal College of Physicians criticised the ‘perverse regulatory imbalance’ that closed off an option for smokers who wanted to greatly reduce their health risks. The following year, the director of Action on Smoking and Health, Clive Bates, joined other anti-smoking campaigners in calling for an end to the EU ban. Nothing happened. Nor did anything happen when the EU revised its Tobacco Products Directive in 2014. Now Sweden’s smoking rate is just nine per cent. The EU average is 23 per cent. The UK, which has a much more aggressive set of anti-smoking policies than Sweden, has a rate of 18 per cent. The results of Sweden’s natural experiment could not be starker. As the New Scientist notes, legal action is currently underway to overturn the snus ban in court. Snus has never been convincingly linked to any form of cancer (including pancreatic cancer, which is mentioned in the New Scientist article). Indeed, Sweden has not only have the lowest rate of lung cancer in the EU, but also the lowest rate of pancreatic cancer and one of the lowest rates of oral cancer. And yet snus remains the only tobacco product that cannot legally be sold in the EU. The UK has to take its share of the blame for this reckless act of folly as it was Edwina Currie who started the whole panic in the late 1980s. But what Britain started, it can finish. If legal action fails, repealing this idiotic law should be on the to-do list of the Department for Exiting the European Union. When it comes to benefiting from Brexit, fruit does not hang any lower than this. It is actually one of the cleares proofs that cigarettes cause lung cancer. Snus is not inhaled, which is why it’s not related to lung cancer rates, but it has been linked to increased rates of oral (and pancreatic) cancer. That is born out by increased rates of those cancers correlating to the switch from smoking to snus. So while it’s safer than smoking, it’s still dangerous. I was showing that even when Swedish male smoking rate was 40%, like it says in the article, their lung cancer incidence was much lower than in countries with similar smoking rates. Sweden is just another so called paradox, like Japan. I haven’t looked into snus, but I very much doubt it causes oral cancer (because firstly Sweden doesn’t have an increased incidence of oral cancer, secondly because I don’t think it is known what causes oral cancer…it used to be heavy use of tobacco+alcohol, now it’s HPV…so who knows? ), never mind pancreatic cancer. There was an increase in oral cancers correlated with the rise of snus use and the decrease of lung cancer. Correlation isn’t causation, but it’s not otherwise explained. Oral cancer due to excessive use of snus isn’t explained? 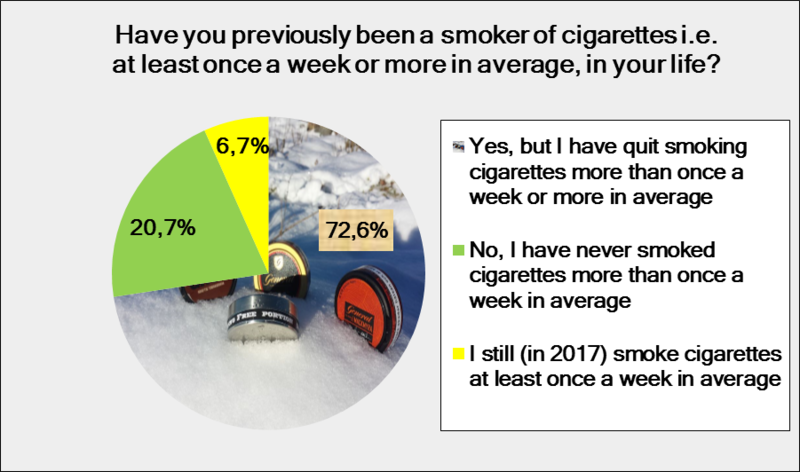 I dd my MSc in Sweden, and decided when I moved there that I’d try and give up smoking. I erroneously believed tobacco would be more expensive there than the UK. I noticed just about everyone in bars using snus, and very very few smoking. I searched medical journals using my university access to find studies into the long term effects of snus use. After reading several independent papers, I came away happy use snus, and since moving back to the UK, I still do. Though finding importers isn’t easy. This article is spot-on. The EU has outlawing its sale while allowing smoking tobbaco is yet another case of it being completely out of touch with reality. GE crops shouldn’t be grown full stop. We do not require an increase in yields and there are plenty of natural ways of pest control. It remains addictive and still causes cancer, but of a different kind and at lower incidence. While it’s certainly better than smoking, it’s still worse than nicotine patches or abstaining from tobacco entirely. So I understand completely why healthcare organisations still prefer to focus on eliminating tobacco, rather than pushing less dangerous substitutes. The largest and most recent studies show no evidence for associations between snus and any types of cancer. Please can you tell us where your information comes from? The same carcinogens that are present in normal tobacco products are present in snus, just in lower doses. I don’t think there is anyone arguing that snus is as dangerous as smoking tobacco, but it’s simply unreasonable to expect it to be safe enough for healthcare organisations to approve it without warnings. Best article in months! Snus is great but can be even Greater in the future. Just released this press release about the PATENTED SNUS REVOLUTION in Sweden. Your getting your priorities in order, right. Will the brain follow or do we need a two year, five stage clinical trial to figure it out? Snus, already now, is the most proven product of tobacco harm reduction in the world. The US #FDA have never acknowledged it in public before this month though. Now they have since I gave the FDA Director the question in public and got a very supportive reply. You find the 2 minute video here. 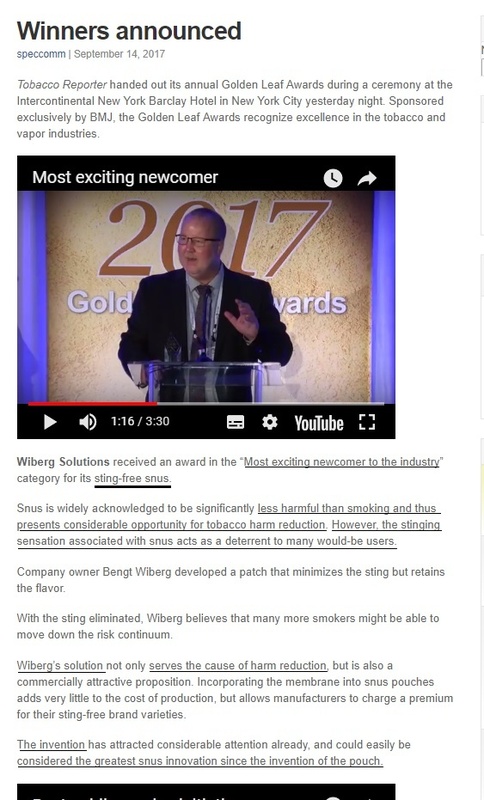 For more info on the even healthier #snus please visit https://www.facebook.com/stingfreesnus/ planned for release in 2018. Swedish Match has signed up for a license and others are now following.